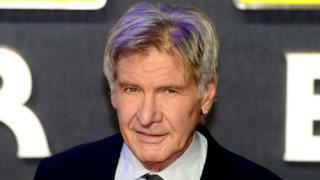 Harrison Ford won't face any penalties for mistakenly landing his single-engine plane on a US airport taxiway. The US actor, who admitted to air traffic control he'd been a "schmuck", will retain his pilot's certificate "without restriction", his lawyer said. 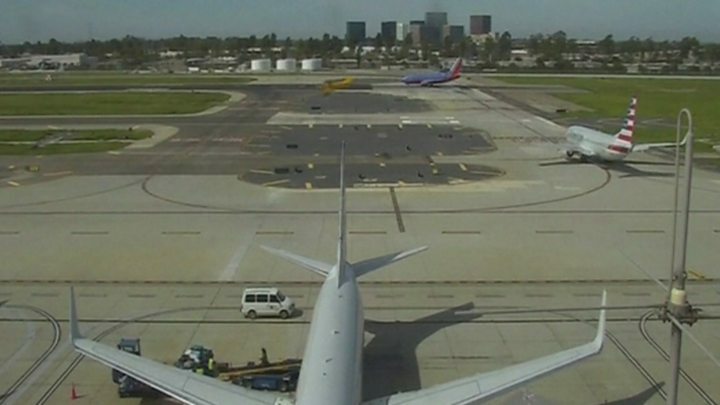 The incident in February saw Ford fly low over an American Airlines plane with 110 passengers and crew on board at California's John Wayne airport. But the Federal Aviation Administration (FAA) won't be taking any action. Media captionHarrison Ford acknowledged the mistake and said "It's a big deal"
"The FAA conducted a full investigation into the matter... and determined that no administrative or enforcement action was warranted," his lawyer said. "The agency acknowledged Mr Ford's long history of compliance with the Federal Aviation Regulations, and his cooperative attitude during the investigation," Stephen Hofer continued. It's not the first time the accident-prone Raiders of the Lost Ark star has had a bumpy landing. In 2015 he crash-landed on a golf course in Santa Monica, suffering a broken arm and minor head injuries. According to Mr Hofer, the actor is "very happy" not to be facing censure over his latest mishap.